Dr Sarah Shoaf is a native of Winston-Salem, and completed her undergraduate work at Wake Forest University with a major in Physician Assistant Studies. She practiced as a PA for six years in Philadelphia and New Orleans, earning a Masters of Education at the University of New Orleans. When she decided to go to dental school, she matriculated to the UNC School of Dentistry. Dr. Shoaf graduated in the top 10% of her class, earning membership in the Omicron Kappa Upsilon honorary fraternity that is comparable to the Phi Beta Kappa of all dental schools. From there, she earned her Orthodontic Certificate from Eastman Dental Center, as well as a Masters degree in Biochemistry/Genetics from the University of Rochester in New York. In 1992, Dr. Shoaf returned to her hometown and was on faculty at the Wake Forest University School of Medicine until 2009. While there and at University Dental Associates on Miller Street, Dr. Shoaf was active with dental graduate, medical school, and physician assistant program teaching. She was a member of the North Carolina Center for Cleft and Craniofacial Deformities at WFUBMC, as well as the Sleep Disorder Team. Dr. Shoaf also has a great interest in forensic odontology, and is still called upon to make dental identifications for the area medical examiners. From 2009 to 2011, Dr. Shoaf continued her orthodontic work in private practice in Mount Airy. 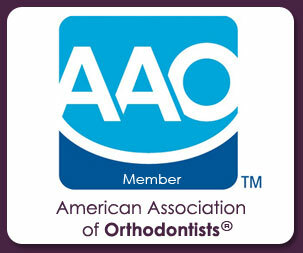 Dr.Shoaf attained Diplomate status from the American Board of Orthodontics. Less than a third of presently-practicing orthodontists have achieved such distinction. Dr Shoaf is married to Alan G. Miller, an underwater photographer who has a studio space on Trade Street in the Winston-Salem Arts District. They enjoy scuba diving around the world, playing golf, and watching Wake Forest Demon Deacons sports. Dr. Shoaf also attended culinary school at Guilford Tech, and is a baker making cakes, sourdough bread, and other goodies throughout the year. She enters her homemade jams and jellies in both the Dixie Classic and NC State Fairs, and has won many top awards. Karen is our Financial Manager. She has a long history of working in the dental field, and is the perfect person to help you with your insurance questions. Karen enjoys being The Voice Of The Practice and is eager to make your first contact with our office -- on the phone or in person -- a pleasant experience. She and her husband have two Corgi dog "children" -- Blade and Annie, and when not in the office they enjoy the local Winston-Salem music scene. Ruben moved from Texas to North Carolina in 1994. He completed his Dental Assisting Certificate in 2008. With seven years' experience under his belt, Ruben is a great asset to the practice. Ruben is fluent in Spanish and is happy to assist with translations at consultations and chairside. Ruben loves cooking, photography, and spending time with his wife, Lluvia, and her children, Sophia and Santiago. April became a team member in 2013. She has previous experience as a pediatric dental assistant as well as providing clinical instruction to dental assisting students at a local school. She resides in Pfafftown with her fiancé James and his son TJ. April’s son, Johnston, is currently a student at App State University. April enjoys spending time with her family, attending sporting events and traveling. Lluvia joined the staff in September 2012. She loves orthodontics, and has worked as a dental assistant for over five years. Originally from Mexico, Lluvia is fluent in Spanish, and is always ready to help translate treatment plans or care instructions to parents or patients. She loves homemade Mexican foods, as well as reading, going to the movies, and exercising. Lluvia has a daughter, Sofia, and a son, Santiago, and finds it thrilling to watch them grow. Stephanie was born in Orange County, California, but moved to NC when she was 3 years old, so considers herself a North Carolina gal. She has a number of years' experience in the dental field helping in the Hispanic community, and we are happy to have her as our Spanish speaking Administrative Assistant at our front desk. Stephanie lives with her 3 dog fur-babies Aldo, Sophi and Beba. Soccer is her main game, and she is a coach for the Triad Elite Soccer Club. Alan Miller is a computer guru, photographic consultant and customer service specialist for the office. He grew up in Rochester, New York and graduated with a BFA from Ball State Univeristy. From there, he returned to his native Rochester to work in photographic processing and equipment sales. He met his wife, Dr. Shoaf, during her orthodontic training at Eastman Dental Center, when he was one of the people who processed the orthodontic clinic’s film. He followed Dr. Shoaf to Winston-Salem, where he maintains a studio space in The Studios at 625 Trade Street. His passion is underwater photography, he enjoys scuba diving around the world. Ana was born in Mexico City, Mexico but moved to NC and has been living in King, NC since the age of 4. She graduated dental assisting school in 2014 and works both as a chairside assistant and a front desk administrator in our office. Ana is another member of our staff who is fluent in Spanish. She has volunteered at the NC Missions of Mercy Free Dental Clinic. On her time off, Ana enjoys traveling, hiking, going to concerts, and spending time with her family. Kim is proud to say she was born and raised in Winston-Salem. She has been happily married to her husband Earl for 14 years and they have a son, Brendan. Kim loves to read and spend time with her family. Janneth was born in Guanajuato, Mexico, but moved to Greensboro, NC when she was 6. She enjoys outdoor activities with her favorite sport being soccer. Janneth coaches a U12 girls team for the Triad Elite Soccer Club. She also enjoys following her favorite professional team, Barcelona. Tina has over 38 years’ experience as an orthodontic assistant. Born and raised in Winston-Salem, she loves spending time with her dog, Mugsey boating out on Lake Norman, and enjoying her 50 acres in Tobaccoville, NC.